Municipal water systems generally leak mind-boggling amounts into the surrounding ground each day, but some cities are adopting new methods to stem the flow. 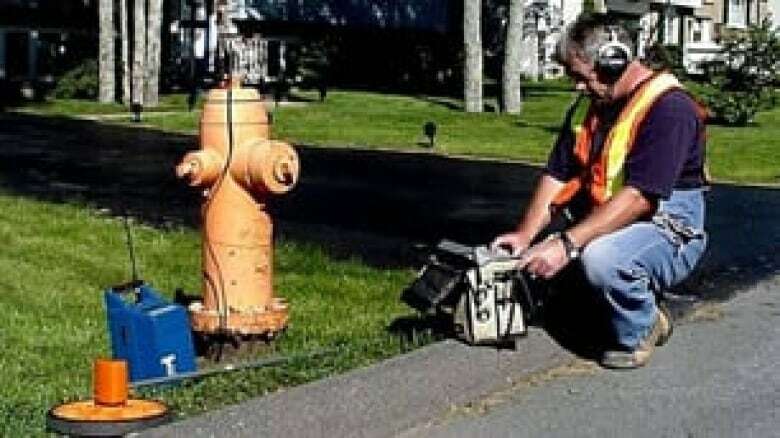 A technician in Halifax uses a listening device to check a fire hydrant for water leaks. In 2005, the city of Ottawa lost more than 26 billion litres of drinking water. This was water that had already been treated — it leaked from the city's water distribution system on its way to homes and businesses. As staggering as that amount is, Ottawa's losses were no worse than those of many other cities. Thanks to an aggressive program of leak detection and repair, along with some new technology, the situation is improving. Ottawa got its water losses down to less than 16 billion litres in 2009, says Shelley McDonald, the city's program manager for water distribution. That's not quite 15 per cent of the water that goes into Ottawa's water mains every year. It's the dirty little secret of municipal water systems. Even as water utilities practice good environmental citizenship by encouraging their customers to turn off taps, take shorter showers and buy low-flush toilets, their own pipes leak at a rate that, if it happened in your home, would soon have you swimming around your basement. Of course, town and city water mains aren't household pipes. In most homes, water dripping from a pipe would be noticed quickly and fixed. Water mains, in contrast, run underground where leaks are hard to find and repair, so it's not realistic to expect that every leak in an underground water system will be spotted and repaired right away. Jean-Francois Barsoum, senior managing consultant and practice leader for green and innovation strategy at IBM Canada Ltd., says that because of the challenges of maintaining a municipal water supply, 10 per cent water loss is considered acceptable in the industry. Water mains run underground where leaks are hard to find and repair, so it's not realistic to expect that every leak in an underground water system will be spotted and repaired right away. 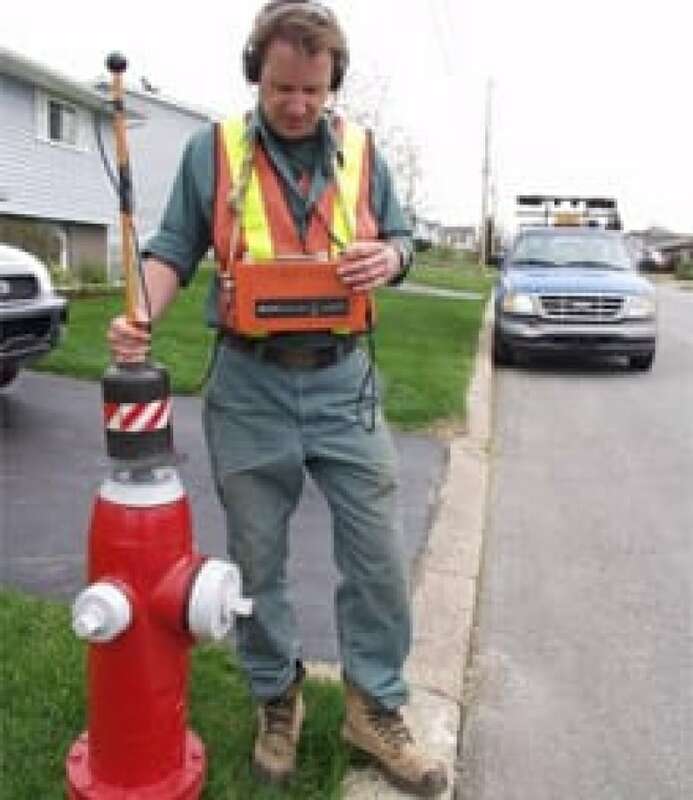 This technician in Halifax uses special gear to listen for leaks. But many systems are losing much more than that, although reliable figures on the amount of water being lost are hard to find. "I see figures ranging from less than 10 per cent to around 40 per cent of the water that ... leaves the drinking water treatment plant," says Duncan Ellison, executive director of the Canadian Water and Wastewater Association in Ottawa. This is not just water straight from a lake, well or reservoir going back into the ground. It's water that has already been treated, at a cost to the taxpayer in energy and cash. The financial cost to utilities isn't huge, Ellison says. Losing water after it has been treated means wasting some chemicals and energy used in treatment, but treatment costs typically account for less than 10 per cent of the cost of operating a water distribution system. 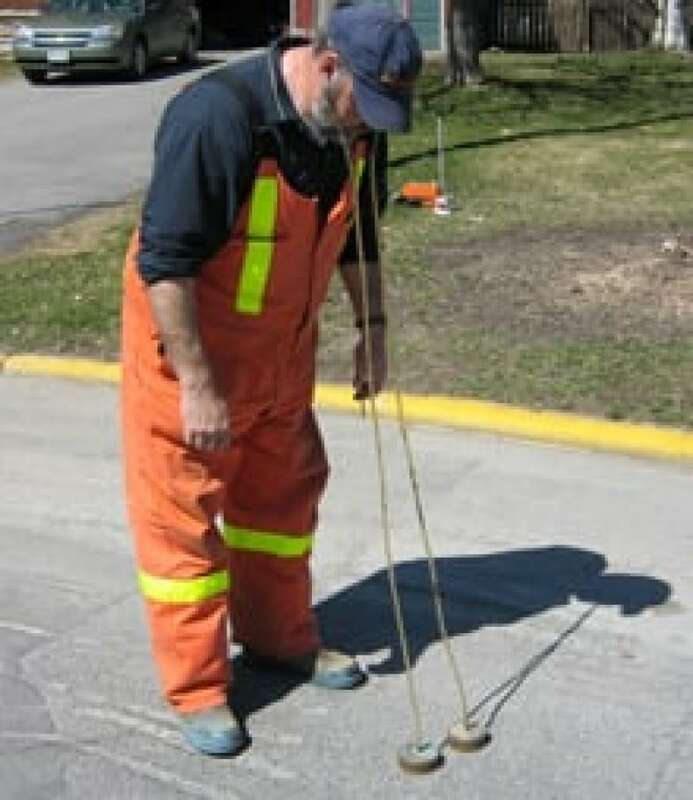 A water utility worker in Ottawa uses Geophones to listen and pinpoint a leak in a water main. Still, with concern growing about how long our water and energy supplies will be enough to meet our needs, such losses are becoming less and less acceptable. "There's no doubt many municipalities understand that if they want to reduce water demand by two or three per cent because they're facing a water supply problem, one way to do it is to reduce water demand," Ellison says. "The other way is to reduce the water loss." Ottawa is one example. Another is Halifax, which was the first Canadian city to adopt the International Water Association's integrated approach to water loss control. Thanks to active leak control, faster repairs, stepped-up maintenance programs and some water pressure reductions, the city has cut water loss in half since 1999, says Reid Campbell, the city's director of water services. That means daily savings of about 35 million litres. At one time, about the only way a water leak would be detected was when water starting welling up out of the street. The problem is that often water just drains away underground. In Halifax, about 90 per cent of leaks never reach the surface, Campbell says. Today, utilities can listen for leaks, using stethoscope-like devices that attach to fire hydrants. There are also listening devices that can reveal problems as a technician walks along the street. These tools can not only detect leaks, but pinpoint their location within a metre or so, Campbell says. That means a utility can send out a backhoe to dig a three-metre-square hole and expect the leak to be somewhere within that hole, McDonald says. 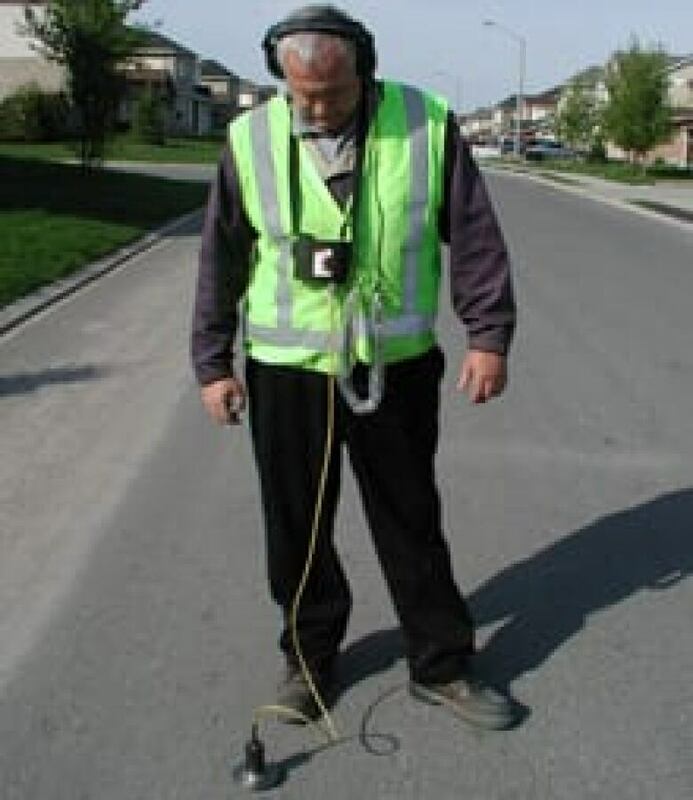 A technician in Ottawa uses a listening device to find water leaking from pipes underground. Metering is another part of the solution. If a city measures the flow of water not just into each individual household but at key points in its distribution system, Barsoum says, it can tell where there are significant losses along the way. Ottawa's system is divided into 12 zones, and the city can measure the amount of water entering each zone. Halifax has 65 metered areas and can measure water flow into each one. "If you can chop the haystack into a whole bunch of smaller haystacks and somebody can tell you which haystack to look in," says Campbell, "you'll have a whole lot easier time to find the needle." Unlike haystacks, water zones are best searched at night. Water use is lowest between 3 a.m. and 4 a.m. If the flow in a metered area at that hour is higher one night than it has been for previous days, Campbell says, there's a good chance a leak has developed. The city can then send technicians with listening devices to that area to pinpoint the problem. But only about two-thirds of water utilities in Canada even meter water as it leaves their systems, Barsoum says. And monitoring flow throughout the system requires instruments underground, which weren't originally installed in older systems and can be costly and time-consuming to add. So, he says, every time a utility digs up a water line, it should be adding electronics to measure flow and pinpoint leaks. In time, that will lead to a system that loses less water and is easier to repair. Replacing iron pipes laid in the 1950s and 1960s with plastic pipe is also expected to help, Ellison says. Much older iron pipe laid prior to the 1950s actually holds up better than more modern pipe made of the same material because it is thicker — Campbell says Halifax's oldest water main was laid in 1856 and the city has no current plans to replace it. Still, even with new technology there's no clear quick fix to municipal water waste woes. It's a problem that be tackled over time through diligence and maintenance. "Decreasing water loss will be a slow but nevertheless productive process," Ellison predicts.